Those facing the dissolution of their marriage have the benefit of a very helpful and understanding judicial system in the State of New Jersey. From the very outset of the filing of the Complaint for Divorce up to and through the entry of the Final Judgment of Divorce, the rules, procedures and staff involved are very knowledgeable and helpful; which is especially useful during such a stressful process. We embrace this philosophy as well as we seek to provide thoughtful and supportive representation in whatever family law matter you might need assistance with. Our family law practice encompasses the entire gamut of family law, from prenuptial agreements to divorce, custody and visitation rights, child support and property settlement. We appreciate that this is a particularly sensitive area of law as families are impacted in significant ways and intense emotions are involved. As there are various mandatory procedures you must go through in the State of New Jersey when divorcing, it helps to have someone to lean on and explain the how’s and why’s of each document and process. There is mandatory mediation, which is almost always useful, as well as mandatory parenting class for parents of minors. There are a myriad of issues most people never even consider, until they are in the middle of the process. We will guide you and alert you to these issues so that they are less of a surprise and make certain that you are in the best position mentally and financially to respond. Regardless of where you are in the process, it is always useful to have an experienced attorney by your side and in your corner. 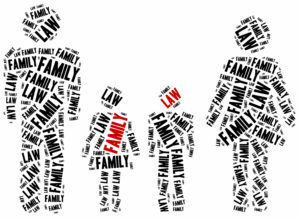 If you are facing any family law issue, don’t face it alone. We, at Hill Law Group will help guide you through this difficult and stressful process with as little upheaval as possible while representing you and your children’s best interests. Please call 201-621-0412 to speak with our compassionate and knowledgeable attorney.